Friday | June 9, 2017	Bring along a girlfirend or your mum for Bakerzin's Afternoon Tea Time Set. A fine purveyor in cakes & pastries, be bound to fall in love all over again during tea time. A selection of sweet selections & savoury delights to warm your heart & lift your soul. 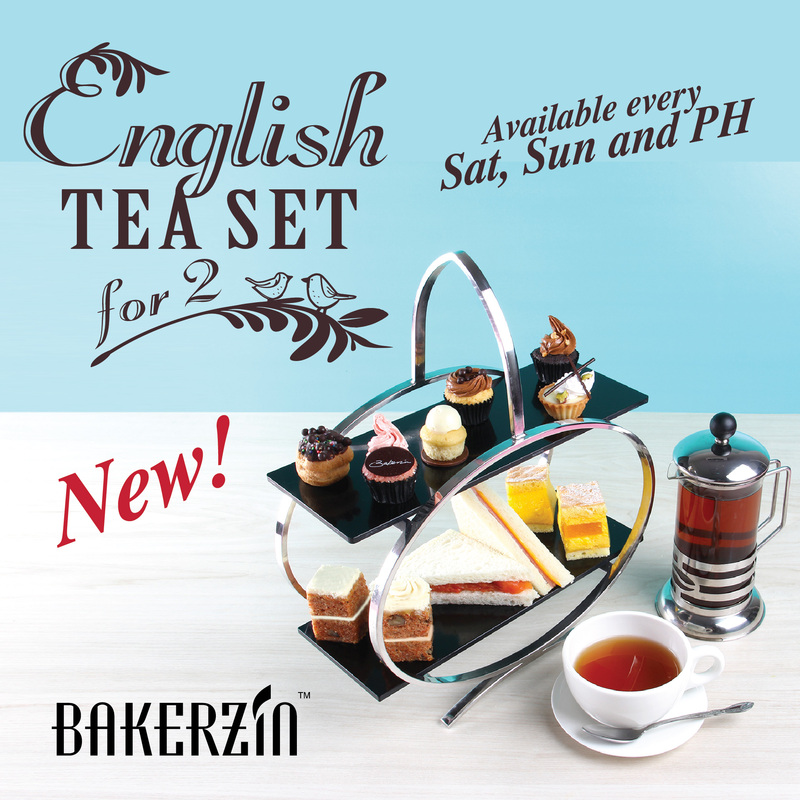 English Tea Set for 2 will be available on weekends and public holidays, between 2:30pm till 5:30pm, at all Bakerzin outlets except Nom La La.